If you are looking for the best cheap Cyber Monday deals, you came to the right place. There are lots of items to choose from including mobile phones, television sets, gaming consoles, and more. Purchase high-tech items at very affordable prices. These products are best sellers most especially for millennials. Get as much as 50% discount on selected items at Amazon, House of Fraser, Currys PC World, Lego, John Lewis, and other reputable UK retailers. You can also get tech bundles. Just browse for Latest Deals site frequently for new offers. Phillips Stainless Steel Hair Clippers - BARGAIN! BARGAIN! Heated Electric Jacket, £39.99 TODAY! Hugo Boss 40% Off Sale - CYBER MONDAY! CYBER MONDAY Deal! MyHeritage DNA Test Kit ONLY £49! Take advantage of massive savings and additional discounts with Latest Deal’s Cyber Monday Deals UK! Right after the Thanksgiving holiday, there is one event that most shoppers love - Cyber Monday. Marketing companies created Cyber Monday so that they can encourage people to shop online. It was Scott Silverman and Ellen Davis who coined the said term. Then it was launched on November 28, 2005 in the website Shop.org. Since it began, it turned out to be a massive hit. As a matter of fact, it was considered to be One of the Biggest Online Shopping Days of that year. This was also the time when the United Kingdom started observing the same activity. If you are one who wants to save a lot from your shopping, you should not fail to take advantage of this affair. There is a reason why a ton of retailers love Cyber Monday. Based on a research, their sales grew to an impressive increment because it was able to drive more people. Hence, this may be taken as the equivalent of Black Friday. This is used by most small retailers as a chance for them to compete with established companies. Indeed, the worldwide success of Cyber Monday is understandable. Do not miss the chance to shop and save all at the same time. Track deals as early as now so that you can save more from your purchase. List down the websites, products and items that you are eyeing for. As for important sites, do not fail to bookmark them. It does not matter whether you are looking for clothes, gadgets, appliances, and others - there is no need to burn a hole in your pocket with Cyber Monday. Make the most of the offers waiting for you. Where Can I Find Cheap Cyber Monday deals? From a Samsung Galaxy Tab, Smart TV Ultra HD, Coffee Maker Machine, flights to colouring materials - you will surely these and more on Cyber Monday. It is never too late to prepare for Black Friday 2018 UK as early as now. With Cyber Monday 2018 Amazon, you are up to get special offers, freebies, sales and discount codes which are exclusive for our members here in Latest Deals. 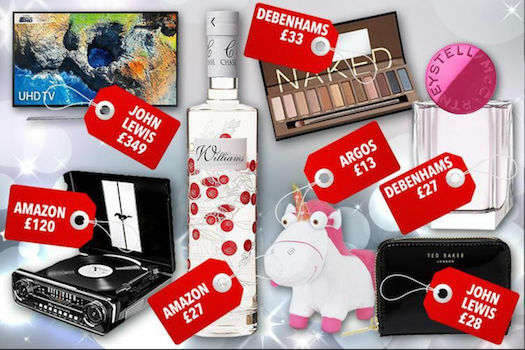 All of these and more are made possible by your favourite UK retailers such as AO, Currys PC, John Lewis, LEGO & more. We have a team of money-saving experts and a community of bargain hunters who constantly look for the best deals on Cyber Monday. From the success of Cyber Monday 2017, many are inspired to pursue Cyber Monday deals UK more. Indeed, there are so many features to look forward to in Cyber Monday UK 2018. If you are one who follows this, the way you do with UK hot deals Black Friday, it is a good idea for you can obtain the best Amazon UK deals today through it. 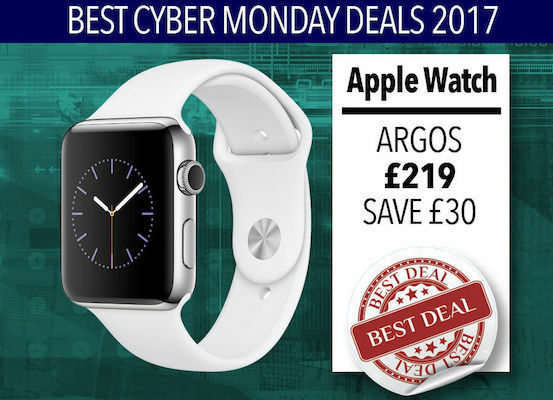 Check on other UK deals website and make the most of your shopping for Cyber Monday. AO. Take advantage of the Cyber Monday deals from this retailer. Through its price reductions, you can take home an Samsung Galaxy Tab and even get a unit half of its original price. Go to AO and learn more about its affordable deals on TV & Entertainment, Computing, Phones, Laundry, Dishwashers, Fridges & Freezers, Cooking, Small Appliances and Floorcare. Build-A-Bear-UK. Build-A-Bear-UK is the retailer perfect for kids. With its features for stuffed toys, you can get deals for Pikachu, Eevee, Squirtle and other Pokemon-inspired stuffed toys with 40% off. As for its clothes, you can enjoy more with 50% discount. House of Fraser. If you are a collector of makeup and fragrance, you should not miss the offers from House of Fraser. In line with Cyber Monday, you may be entitled for a 20% from your purchase. This discount may even go up to 30% when you shop on the store on a holiday. Make the most of these exciting deals and save extra from your transaction. John Lewis. Are you looking for an affordable vacuum cleaner? Whether you want the cordless or the traditional one, you have cost-efficient options at John Lewis. From this, you can save at least £150. If you are planning to upgrade your cleaning tools, Cyber Monday is the best time for sure. LEGO. Parents who have kids fascinated with LEGO should check its deals during Cyber Monday as it gives off free playsets for orders that exceed £60. This is the best most especially if you shop LEGO constantly. This should work best for you. Record sales in the UK as Cyber Monday and Black Friday take hold in Britain. Tips on How to Get the Best Savings on Cyber Monday Once you decided to participate on Cyber Monday, you have to fully understand that scams also happen. Thus, you have to be careful so that you can protect yourself. When you take the right measures, you can never go wrong. That is for sure. If you are a newbie, you might be wondering of the best techniques that you can employ on Cyber Monday. What are these? Saving more from your purchase becomes possible when you know what to do on Cyber Mondays. What are the best techniques to make ensure that you only utilise the best deals? Here are some: Use Effective Strategies. As you shop on Cyber Monday, it is going to help a lot that you know the products with available deals. You can save more from this when you buy electronics like phones, computers, and data storage. The same is also true for travel, clothes, books, beauty products, home and garden tools. Create a List. Prior to starting, it is going to help that you come up with an outline of the top websites you look forward in visiting. Please include the products you foresee to purchase from them as well. If you must, bookmark the pages in advance. You can also set calendars to serve as reminders for deals which are time-bound. This may occur on limited products. Monitor Deals as Early as Possible. It is strategic when you can monitor deals earlier. Meaning, you do the search ahead of time. The most suggested is probably a week in advance. Aside from this, you also have to stay updated with the promotions and deals of a certain retailer. If you have to subscribe to their e-newsletter, then so be it. Use your social media accounts in following the brands that you like as well. Find Coupons and Promo Codes. Sign up to Latest Deals and track down promo and coupon codes as much as you can. The good news is that there are retailers out there which accept multiple coupon codes like Amazon. Do Price Comparisons. There are websites out there which may allow you to compare websites so that you only get the most affordable deal of all. Before placing an order, it would help a lot to do this. If you want to download a mobile application, that should work as well. These are some of the most effective ways so that you can save even more for Cyber Monday. Amazon Echos. This item from Amazon is usually put on sale during Cyber Monday. 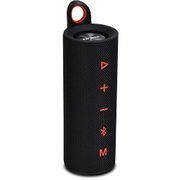 Despite its sale, you can ensure that this unit is still innovated - with new speaker, designs, and styles. Echos is the best for cooking, messaging, music, scheduling, among others. Robot Vacuums. Robot vacuums are ready with WiFi. They are also compatible with smartphones, so connecting them should be easy. You explore the vacuums and you will also realise that they have attachment for mop and water tank. Portable Charger. If you are always on the go, this portable charger is definitely for you. Hence, it has the capability to recognise the device hooked without difficulty at all. Most brands available during Cyber Monday have a day’s worth of power. Streaming Stick. The device is ideal if you are into streaming all types of things to your TV. 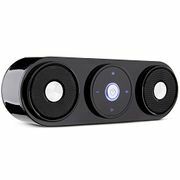 What makes this unique is that it also goes with a voice remote that you can again make the most of. TP-Link Smart Plug. The TP-Link Smart Plug works with WiFi. Hence, this is always available at an affordable price. You can bring this during travels to bring home with you. Nonstick Pan. Most top-notch products for nonstick pans are available for Cyber Monday. Most of them are lightweight and they cook everything evenly. What is even better that cleaning them up is simple.